Buying a house with hardwood floors: What should you look for? Inside you’ll find 40 pages packed with valuable content. 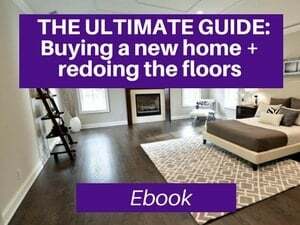 I have seen too many home buyers select a house that they regret as some make hardwood flooring prohibitively expensive, or they find out that they need to replace the hardwood floors in their entirety. This will help you avoid some of those regrettable assumptions and errors. It’s the best investment for just $2.99. 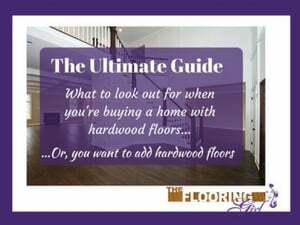 What to look out for if you are buying a home that doesn’t have hardwood flooring yet…or has some areas where you want to add hardwood flooring. What to look out for if you are buying a home that already has hardwood floors. 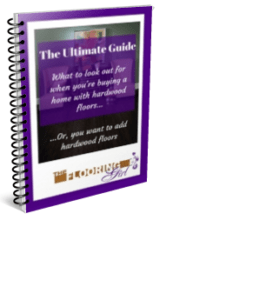 What you should NOT worry about if you are buying a home with hardwood floors. Debbie Gartner is known as “The Flooring Girl.” She owns her own flooring store in Westchester County NY. She has been featured in The Washingtn Post, Entrepreneur.com, The Wall Street Journal and Money Magazine. She has won the Angie’s List Super Service Award for 7 years in a row and has been named best of Houzz. Her work has been featured on Sell This House and Property Brothers. Your knowledge is so vast and valuable information for anyone thing about refinishing or installing wood floors. This will be so helpful because we often have to suggest to sellers that they redo their floors, especially when the color has red in it, which is dated in my area. I love your “epic” articles, Debbie! Thanks for sharing! Awesome! I love your new ebook – it was worth waiting for! There is so much useful information for consumers and I’m definitely going to share it. Thank you for making it available to all of us!